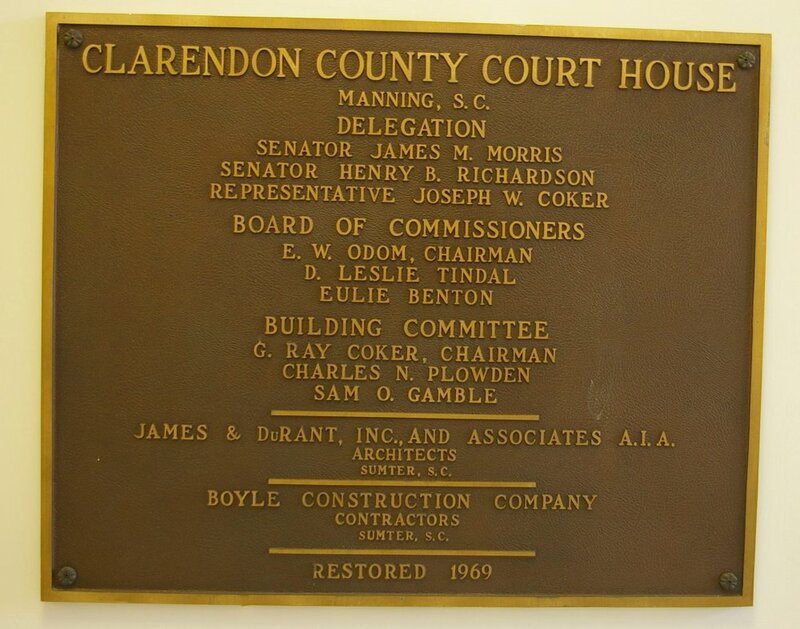 Clarendon County is named for Edward Hyde, 1st Earl of Clarendon, who was one of the Lords Proprietors of the Province of South Carolina. 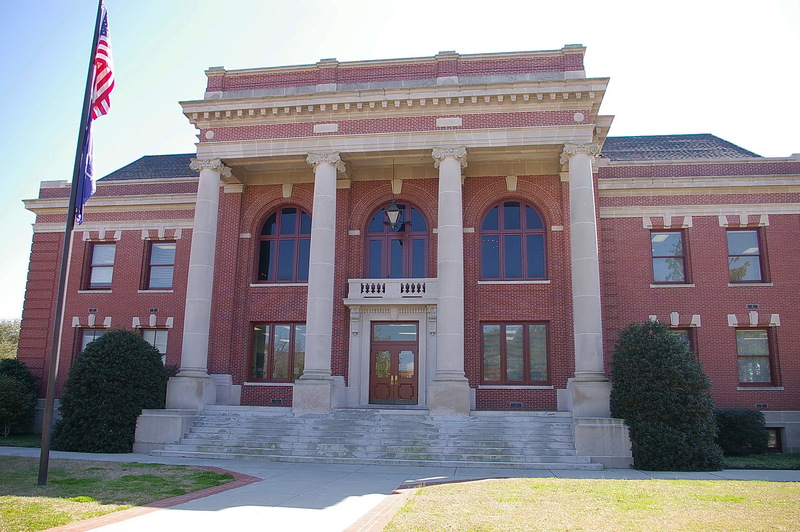 Description: The building faces north and is a two story red colored brick, stone and concrete structure. 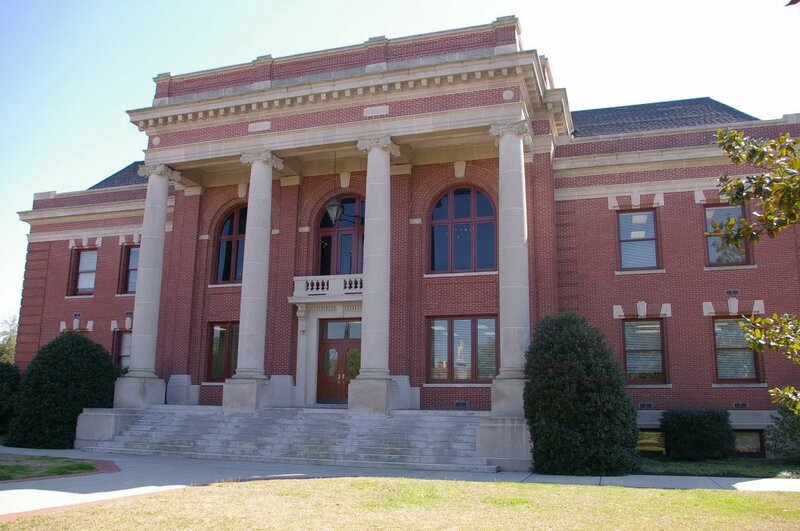 The building has a large portico supported by four large columns rising to a wide brick and stone header. A projecting cornice runs below the roof line. The roof is hipped. 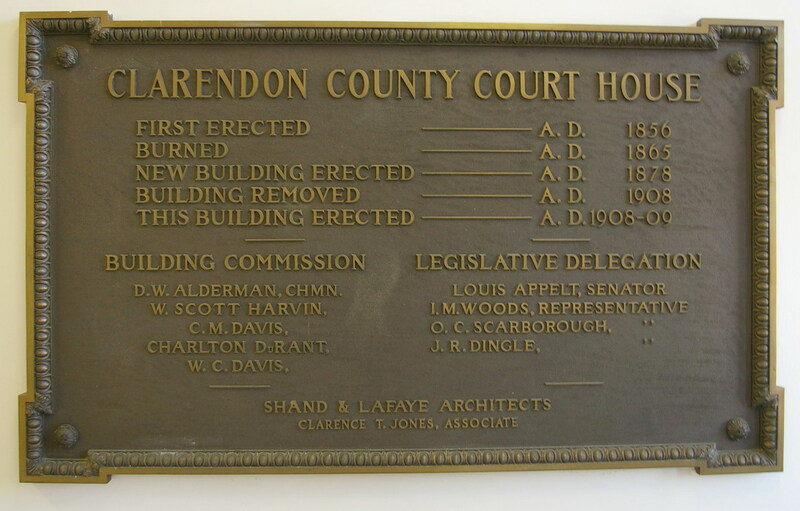 The building was restored in 1969. 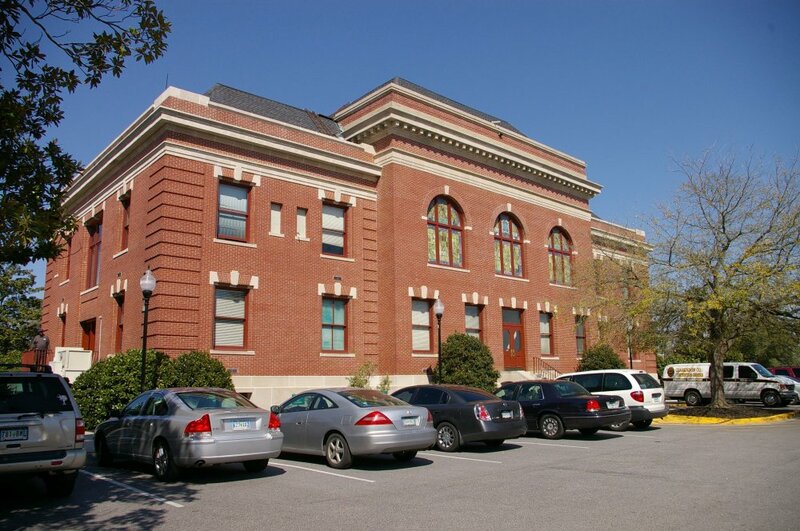 The architect was James & DuRant, Inc & Associates and the contractor was Boyle Construction Company. 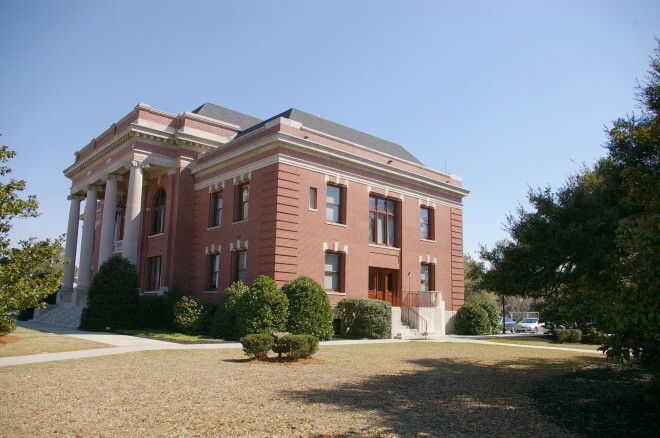 Note: The previous courthouse was built in 1878.